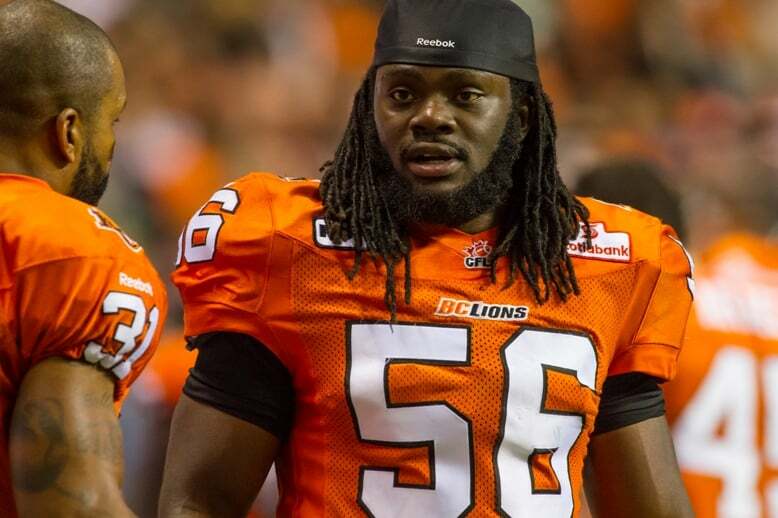 With a week to go before CFL Free Agency opens, Wally Buono and the BC Lions still have some work to do. It’s crunch time for both management and players, and there should be more announcements on signings coming in the week leading up to free agency. Let’s take a look at where the Lions stand at the moment and some of the key names involved. DB Steven Clarke, LB Solomon Elimimian, RB Jeremiah Johnson, LB Nehemie Kankolongo (N), FB Rolly Lumbala (N), WR Nick Moore, DB Keynan Parker (N), G Hunter Steward (N), DL Bryant Turner Jr. The Lions got things done early with Solomon Elimimian and it’s a good thing they did with the eventual departure of Adam Bighill. 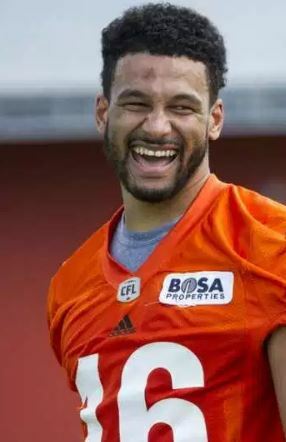 The reigning CFL Defensive Player of the Year will be counted on to continue his all-star play as well as mentor the replacement for Bighill. Offensively the biggest story so far was getting Jeremiah Johnson signed to a new deal assuring the Lions keep at least half of the CFL’s best rushing attack intact. Farhan Lalji announced on Twitter that the Lions will not be bringing back Anthony Allen, so it remains to be seen what they do with their running game, and if they look at deploying an alternating running back system once again. On the offensive line, the signing of Hunter Steward will ensure the unit of Jovan Olafioye, Kirby Fabien, Cody Husband and Antonio Johnson will have the chance for continuity, at least to start training camp, with Charles Vaillancourt ready to push for a more prominent role as well. DL Mic’hael Brooks, WR Bryan Burnham, WR Marco Iannuzzi (N), DB TJ Lee, K Paul McCallum (N), WR Terrell Sinkfield Jr., DB Ronnie Yell. Obviously, the biggest name here is Bryan Burnham who has had numerous NFL workouts this off-season but is still without a contract. The Lions recently re-signed Nick Moore who is coming off an knee injury, but would dearly love to have Burnham back after his breakout season made him a fan favourite and one of the most reliable receivers in the league. Marco Iannuzzi is still unsigned and it’s hard to imagine he wouldn’t want to be back. He’s a reliable receiver that can also return kicks for you. Do the Lions see Stephen Adekolu, Brett Blaszko, or Shag Johnson as players that are ready to take the next step? If so are they willing to let Iannuzzi test the market? Defensively, the secondary is another key area that needs to be addressed. With Anthony Gaitor released to join Adam Bighill in New Orleans, Ronnie Yell and TJ Lee are pretty important pieces. The issue is that both are coming off pretty serious injuries, and Buono will likely be wary of any huge raises for those players, considering his prudent handling of the same situation with Solomon Elimimian. That said, the Lions found those players, and they may be confident that can find more if the two sides can’t come to an agreement. Still, a secondary takes some time to gel, and hopefully at least one of the two return. A tweet by @News1130Sports suggested that the agent for Yell says the two sides are not far apart and his client wants to play in BC, despite some cryptic tweets from Yell early last week. Farhan Lalji says things aren’t going well on the Yell and Lee front. News 1130 says there is hope on Yell. It sounds unlikely that Mic’hael Brooks will be back with the Lions. He is intent on finding work in the NFL and if he doesn’t it sounds like he’s looking for money the Lions might not be willing to pay. The fact is, international defensive lineman are part of a pretty deep talent pool, and the Lions probably feel they can plug that hole and they added some insurance when they re-signed Bryant Turner Junior. Jabar Westerman will be allowed to test the waters of free agency, and will likely get a few offers. Whether this an exercise to determine the value and give the Lions a chance to match remains to be seen. It could also mean a bigger role for David Menard, which would be much deserved. With Bazzie gone, the Lions have some work to do here, either in free agency, or finding that next Cameron Wake. DL Alex Bazzie, DB Anthony Gaitor, P Richie Leone, LB Bo Lokombo (N), LB Adam Bighill (Contract clause).